Mid-century modern design blends with the rustic movement in the Millenium Dresser. 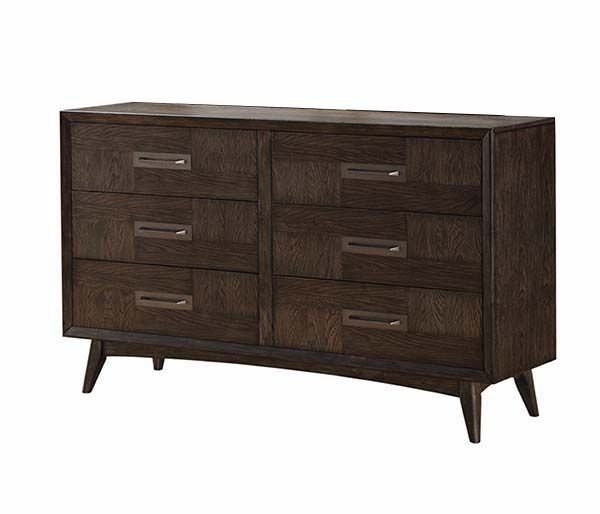 Clean lines, angled wooden legs, and brushed satin brass hardware compliment the highlighted wood grain of the rich, espresso finished weathered oak veneer. A neutral palate that is warm and inviting, this dresser creates a beautiful, fresh look in your home to recall a different era, while still being on trend today.